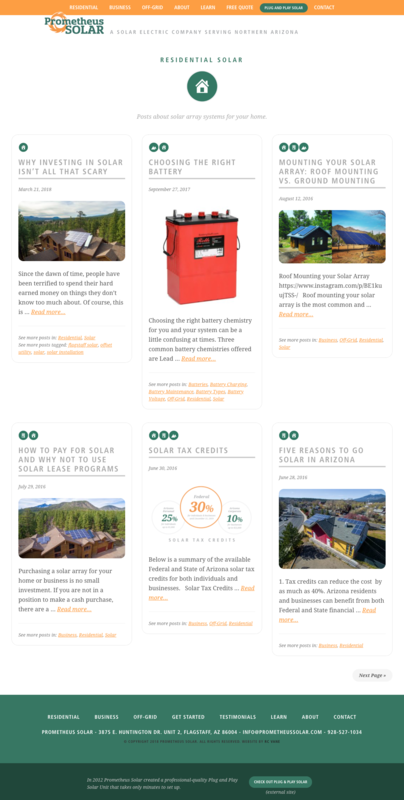 Prometheus Solar is one of the best, if not the best, full-service solar installation company in Flagstaff, Arizona. They passionately care about returning the U.S. to energy independence by expanding the use of renewable energy. 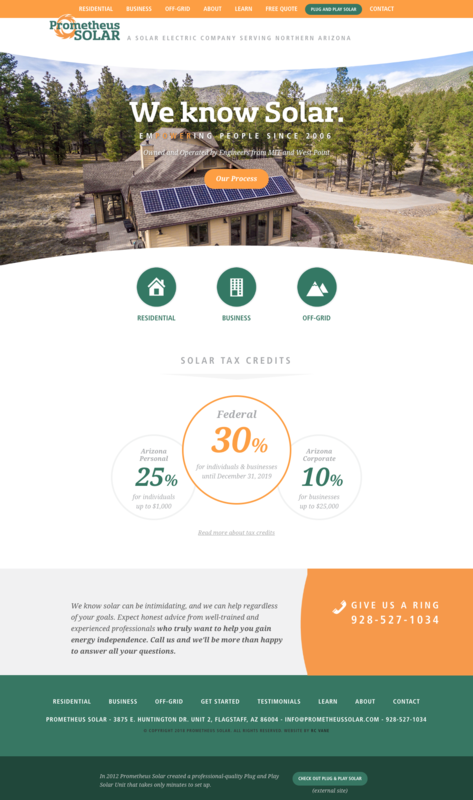 I was honored to redesign their website and help reimagine their blog content to optimize search engine optimization and make it easier for people to find the information about solar.